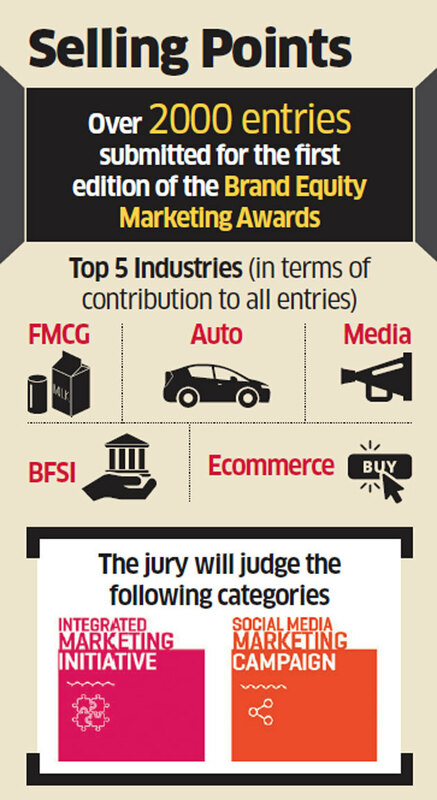 In its first year, the Brand Equity Marketing Awards has received over 2,000 entries from a wide array of marketing and marketing communications companies, eager to test their mettle and see if they have what it takes to impress a truly stellar panel of judges. Judging begins today in New Delhi for the categories Integrated Marketing and Social Media. In the former category, judges will be looking for entries that go beyond just ticking boxes in the name of integrated marketing. Instead, the work they reward will have truly leveraged an array of different and relevant media and approaches to deliver stellar results for the brand. While Likes and Retweets are the stock in trade of marketing on social media, our jury will dig deeper to reward only campaigns that raised the bar on consumer engagement and pushed the envelope in terms of innovation. The jury includes Sukhleen Aneja, CMO — South Asia, RB Hygiene Home; Sangeeta Sharma, senior manager — marketing and product, Lufthansa India; Debashish Mukherjee, head – consumer and retail industries, AT Kearney; Anisha Motwani, managing partner, Storm-TheNorm Ventures; Jitender Dabas, chief strategy officer, McCann Worldgroup; Ruchira Jaitly, director – strategy and nutrition challenges, DSM; Rajeev John, head of marketing — food and health supplements, Dabur India; Arvind Bhandari, senior VP — NestleBSE -0.86 % South Asia; Solomon Wheeler, head — marketing, Vistara; Nidhi Hola, senior director — marketing, Go-Daddy; Sanjay Gupta, head of marketing, Uber; Karthik Nagarajan, national director – content and social media, GroupM; Trupti Bhandari, global lead — family nutrition, GSK; Sonali Malaviya, VP — client partner, Essence; Titus Upputuru, creative head — Taproot Dentsu and Shweta Jain, VP — luxury, Diageo India. Through a packed session today, they will determine the mostworthy entrants in the Integrated Marketing and Social Media categories. Judging will move to Mumbai tomorrow with Brand Launch, Innovation, Digital Marketing and Print Marketing being evaluated. After a final judging session, the winners will be revealed on April 20, 2018.